Welcome to the website of St George's Anglican Church, Tunis. I trust that it will give you a taste of the rich variety of people who make St George's their spiritual home in Tunis. We are a diverse, vibrant and friendly crowd of all ages and backgrounds! Within church we enjoy celebrating God's presence in our midst. Through a range of worship styles and via a variety of ways of engaging with the Bible we try to listen to Jesus Christ and please him. As a church we seek to provoke one another to live daily in touch with God so as to make a radical difference - within our families, among our work colleagues, as we enjoy our hobbies and whilst living in in the wonderful country of Tunisia. We also offer our various gifts and skills to make a positive difference within our local community. I hope you enjoy your visit to our website. If you live in Tunis or are visiting, please join us in a service at our church on rue Mongi Slim. 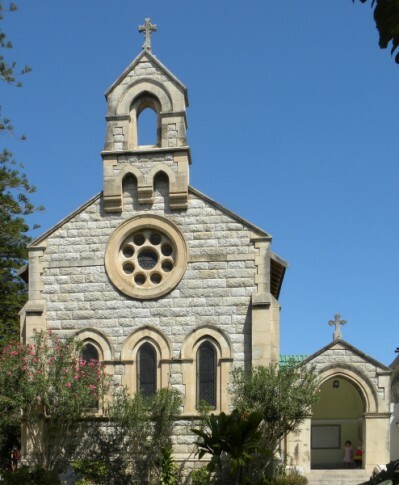 Here is a glimpse of the history of St George's Anglican Church Tunis. The video depicts the vision and the involvement of the church in the well-being of it's surroundings.